Dr. Mikle D. (Mike) Ledgerwood is Professor of Romance Languages and Linguistics and former chair of World Languages and Cultures. He is a native of Oak Ridge, Tennessee and adores the Southern Appalachians. His B.A. and Ph.D. are from the University of North Carolina at Chapel Hill and he is still a Tar Heels fan, ("If God is not a Tar Heel, why is the sky Carolina blue?"). His M.A. in history is from Vanderbilt and M.A. in French from Tennessee. He loves teaching a variety of subjects. He teaches all levels of French and especially enjoys teaching French culture and civilization. He teaches beginning Spanish and helps students learn Portuguese. He is the principal foreign language teaching methods professor. He teaches French history for the Department of History and Linguistics in our graduate program in Spanish as well as in our undergraduate program. Prof. Ledgerwood loves traveling, too. He has lived in France and Costa Rica, traveled extensively across Europe and has been in 42 countries (so far). He has given papers and presentations in Europe, in Australia, Singapore, Japan, China, Chile, and India as well as in many American states and Canada and Mexico. In addition to his Samford position, he teaches a summer graduate course in technology and language learning for his previous employer, the State University of New York at Stony Brook. Prof. Ledgerwood is very active in his profession and was recently President of the International Association for Language Learning Technology. He also loves music. 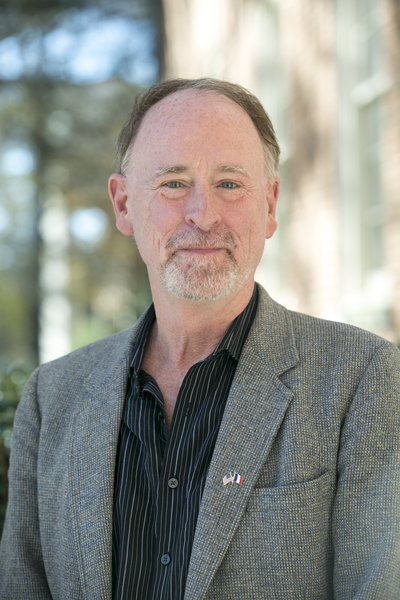 He enjoys singing in the choir at his small Episcopal church in Hoover and is a big fan of the Eurovision Song Contest (the world's most viewed non-sporting event) which he highlights in his new work in European Cultural Studies. He hosts Samford's annual Eurovision Song Contest appreciation night in April where Samford students vote for their favorite ESC entry. Ledgerwood also received the 2012 Howard College of Arts and Sciences Dean's Teaching Award, an award that surprised and pleased him. With all of the fine teachers in Howard College, he viewed this as a signal honor, both for him and for World Languages.